Reparability is an important part of Trippen’s concept. Various components, such as the insoles of the Closed and Cup collections as well as the rubber soles can be exchanged and replaced. We also offer a comprehensive repair service for all our other styles. Normal processing time for repairs is around 4 to 6 weeks. Please enclose a short note stating your name, postal address, phone number and e-mail address. Please also include information on what you would like to be repaired and let us know the desired payment method. Repairs sent back to an address in Germany will be delivered free of charge. If you would like to pay by credit card, we need your card number, expiry date and the three-digit security code on the back of the card. The amount will only be charged from your credit card account the day the repaired shoes/boots ar dispatched. If you prefer to pay by PayPal or bank transfer in advance, we will contact you once the repair is finished. The shoes/boots will be dispatched as soon as we have received the payment. 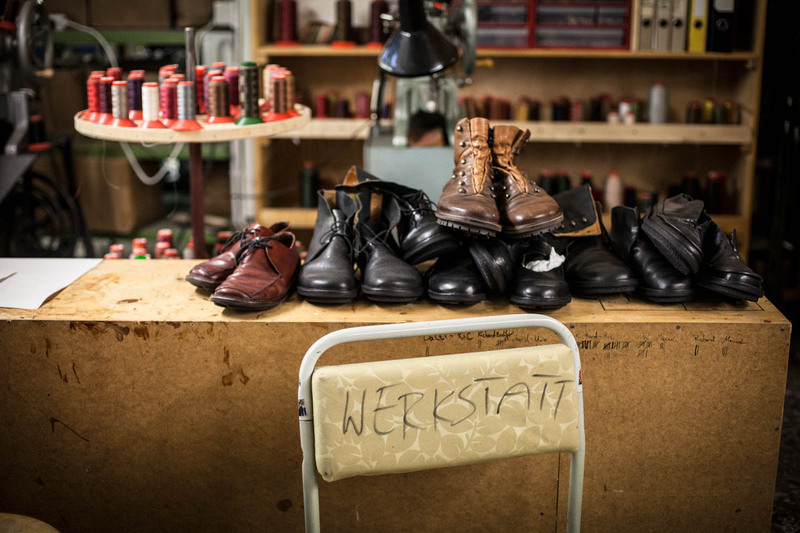 "goods with no commercial value, value for customs purpose only, shoes/boots for repair, value less than 50 Euros to avoid customs problems." In addition, please never mark the parcel as "returned goods" because this could lead to further customs problems.